Postoperative standing radiographs are usually performed before hospital discharge after AIS fusion. However, patients are often still painful and have not recovered yet their physiological balance. 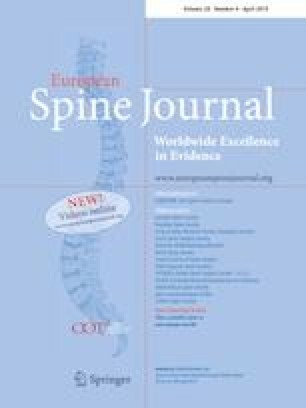 The aim of this study was therefore to evaluate the relevance of such early radiographs and more specifically investigate whether postoperative alignment could be analyzed. All consecutive AIS patients operated between January 2015 and December 2015 were included. All patients underwent biplanar stereoradiographs before hospital discharge, at 4 months postoperative and at last follow-up. Fifteen parameters (eight coronal and seven sagittal), reflecting correction and spinal alignment were measured and compared. The incidence of implant misplacement, requiring or not surgical revision, was recorded. In total, 100 patients were included. A significant difference was found for 12 out of the 15 (80%) parameters between the first erect radiograph and the 4-month follow-up visit, including the CVA and the SVA, which are commonly used to assess postoperative alignment. Clavicle, UIV and LIV tilts also decreased significantly at 4 months postoperative. In opposition, no significant change occurred for the same parameters between the 4-month visit and latest follow-up. In nine patients, a pedicle screw was considered misplaced on the first radiograph, but all patients remained asymptomatic and no revision was performed. There is no need for additional immediate postoperative radiographs in AIS, if an intraoperative radiograph has already been taken. This finding could help reducing radiation exposure in immature patients and should be further studied in other etiologies. The online version of this article ( https://doi.org/10.1007/s00586-019-05971-w) contains supplementary material, which is available to authorized users.